A classic shoot-'em-up which was written by a relative unknown, only to be taken up by a large software house and go on to become a major hit. 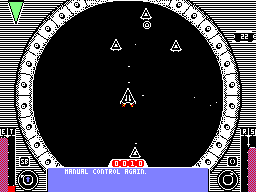 Pilot your ship through the scrolling environment that gives the impression of 3D perspective, like Space Harrier. Shoot the waves of aliens, avoid the obstacles and pick up any power-ups as you follow the path left, right, down and up whilst passing in and out of various tunnels. The sprites are impressive and the music is brilliant, however the environment is rather basic. This is a good attempt by Hewson to convert what is ultimately a 16-bit game – but they didn't quite pull it off. Landmark game from programming legend David Braben. 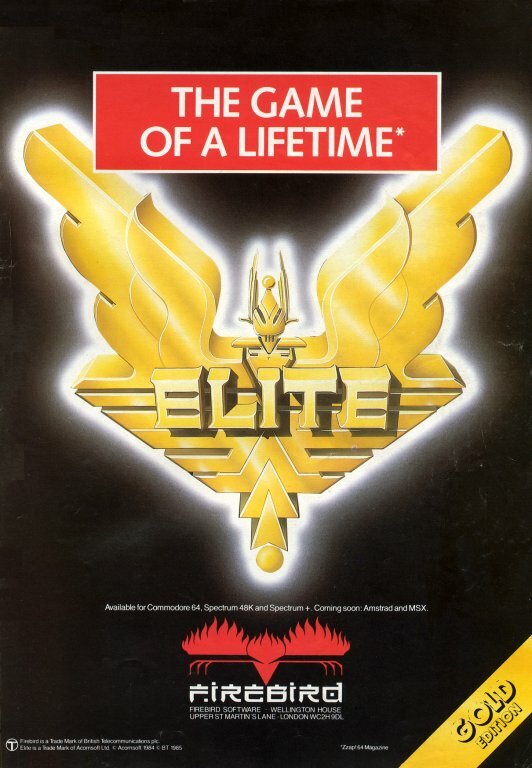 Far in the future, pilot your trusty Cobra MkIII around the galaxy in a bid to gain the immortal rank of Elite. Along the way, you encounter fellow voyagers, traders, pirates and the mysterious but dreaded Thargoid aliens. 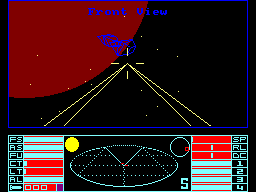 It was revolutionary upon its release, as it allows complete freedom within a 3D environment to explore a myriad of planets, each with their own unique characteristics. Special missions are also available, so that you can ultimately discover the location of the Thargoids' hidden homeworld. What it lacks in visual and audio impact, it more than makes up for in sheer playability and originality. This is one of only a handful of games that can claim to have created their own genre. You are an elf who has discovered magic, and you have to fill cauldrons with four bottles containing magic potions. This is a platform game in which you search for the bottles in villages and dungeons. You need keys to unlock the doors which take you to other areas of the game, and there is a variety of weapons you can use to shoot enemies. 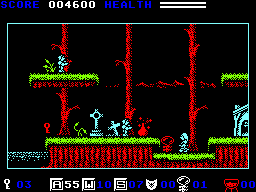 However, it's slow and rather dull, and the Spectrum-like graphics don't help matters. The elf cannot jump diagonally, which is irritating, as are the numerous opportunities for dying simply by walking off the wrong edge of a platform. The music on the menu is awful as well. 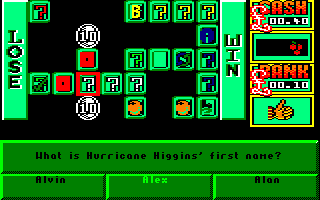 While piloting a plane over the Caribbean, you are forced to fly into the Bermuda Triangle. Your plane crashes into the sea, but fortunately you ejected in time. Unfortunately, you have landed on the Emerald Isle, and the only way you can leave the island is to find treasure and therefore promote yourself to King or Queen – but the first thing you'll need to do is release yourself from your parachute. 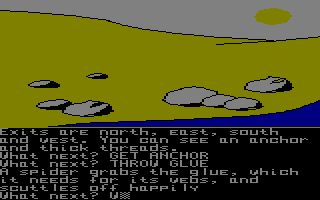 This game has approximately 200 locations, and every one of them is accompanied by a picture. However, most of them are poor, although they can be switched off to speed the game up a little. Even though this is another 'treasure hunt' adventure, it's quite amazing just how much has been squeezed into the CPC's memory. This game licensed the name of the best Spanish football player of all time. As a result, it was the best selling 8-bit game in Spain ever. 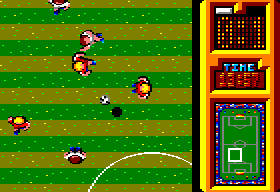 Emilio Butragueño Fútbol is quite an enjoyable game, although it lacks most of the features usually found in other football games. You can't play any competitions or manage your team at all; it's always the same two teams playing a single match. 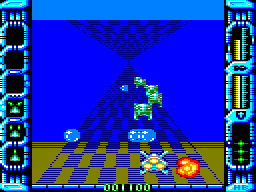 Nevertheless, it features a great two-player mode, and so people used to arrange competitions anyway. It may have aged badly, but I used to have a very good time playing this game. Watch YouTube videos of this game by: jgonza, Retro Danuart. We all know how boring our science lessons are (or were) at school, but this game makes science rather more interesting. You control a skimmer which you use to collide atoms and molecules together so they annihilate each other, but if you run out of time, the atoms will reach critical mass and you'll lose a life. Also, if two atoms of different colours come together, a new atom will be produced. The graphics are quite nice, even though there's not all that much to see! There isn't much sound either, but it's still reasonable. It is quite a good game, but it's a bit too tricky for my liking. Empire! is a vast space strategy game where you start with a lone Cub Scoutship in the ABATLU system. You are soon commissioned unique missions by starbase control, chasing and zapping aliens, resolving objectives, shielding systems, and space trading. All of these fit together for fantastic gameplay. Your objective is to build a great galactic empire spanning many solar systems, braving dozens of missions to become the greatest space pilot of all time. There are lots of distant planets to land on, starbases to dock with, solar maps to get lost in and hyperspace to zoom into. The graphics are well drawn with nice detail. There are some great animations within the game too. Empire! is an extremely complicated game to play, which will captivate you if you give it a chance. It's in a league of its own and is a huge game to complete. 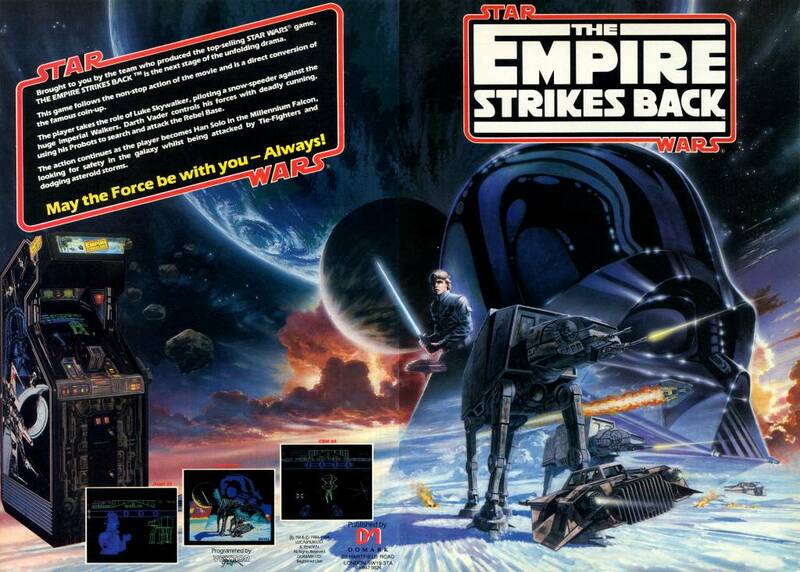 Based on the best of the Star Wars films, once more you must fight the Galactic Empire. 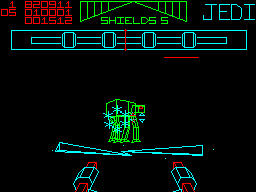 Initially taking place on the surface of Hoth, you have to destroy the Imperial Probots in order to prevent them from sending transmissions revealing the location of your hidden Rebel base. The more enjoyable second stage involves taking out the AT-ATs and AT-ST with your guns and tow cables. You then pilot the Millennium Falcon against an armada of TIE fighters, while finally you have to successfully navigate through a deadly asteroid field while maintaining your shields. This time the Star Wars anthem blares out throughout, which adds nicely to the game's atmosphere. Not as fun as destroying the Death Star, but excellent nonetheless. See also: Return of the Jedi, Star Wars, Star Wars Droids. Guide Herbert the Herapod around the twelve horrifying Haunts of Hawk eating all the cookies found there. Before Herbert can eat a cookie, he needs to find one of the many magic sacks scattered around. With sack in hand, Herbert can collect thirty cookies before he needs a new one. 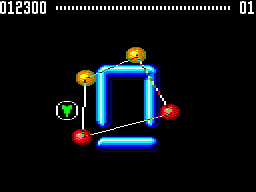 The level of difficulty can be changed from easy to hard. 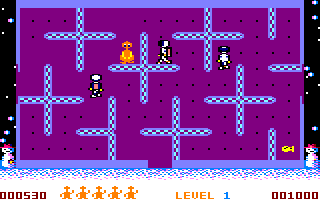 This flip-screen maze game, which was included with the Micro-Music Creator utility as a demonstration of its capabilities, has nice graphics with snow falling down the sides of the screen. An interesting tune plays throughout, and there's even digitised speech.